Since 1971, Zvi Friedman has played a key role in the local and national soccer scene. He was soccer head coach at Cal State Northridge from 1974 to 1977. CSUN won the Southern California Intercollegiate Socccer Association championship in 1976. In 1976-77, Friedman was also head coach of Maccabee Los Angeles, winners of the U.S. Open Cup, the Cal State Championship, and the Greater L.A. Cup Championship. During that same period, he served as assistant coach (to Ron Newman) with the Los Angeles Skyhawks, the ASL Professional Soccer Championship winners. Israeli-born Friedman played the game for more than twenty years, with teams including Maccabee Los Angeles and Maccabee Netanya (Israel). During the past two decades, his efforts have been devoted primarily to the arena of soccer management. From 1974-1980, as the American Youth Soccer Organization’s Head Coach, Zvi planned and conducted AYSO’s National Soccer Coaching School. 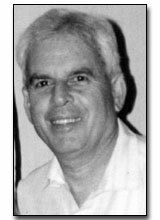 In the early 1980s, he developed Israel’s national soccer management program; developed Israel’s National Soccer referee school; was Sport Director of Maccabee Athletic Club-Los Angeles (1988-89); and was Commissioner of the Soccer Super League (semi-pro) in Los Angeles (1992). Zvi has produced three educational films on “Fundamentals of Soccer”, has authored the book “Soccer for Everyone-Penalty Kicks”, and has contributed to other soccer publications. He is currently featured on FIFA On-line’s internet “Coaching Corner”, and CBS Sportsline’s SoccerNet. As co-founder of Softsport, Inc., Zvi created computer software for soccer match analysis, and currently licenses his software and services throughout the world.